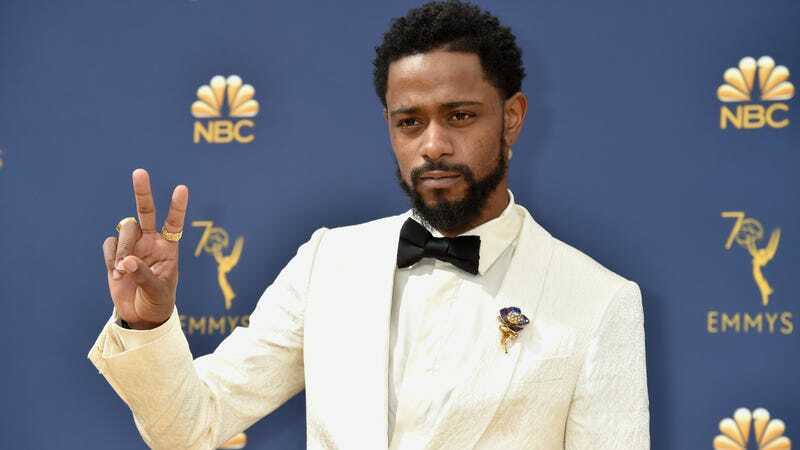 In a move that’s more likely to perturb than please his Atlanta alter ego, Deadline reports Lakeith Stanfield has signed on to play a detective in Rian Johnson’s Knives Out. Written by Johnson, the recently announced murder mystery is said to be in the vein of an Agatha Christie puzzler, right down to the glitzy casting in a big-screen project: Knives Out also stars Daniel Craig and Chris Evans. Stanfield will play Craig’s sleuthing partner, while Evans’ role remains unknown. But this is just the latest in a string of casting announcements for the Get Out actor, who, in addition to filming Uncut Gems with Adam Sandler and getting some onscreen vengeance with Claire Foy in The Girl In The Spider’s Web, will also star in the film adaptation of the ’80s-Shakespeare pastiche Prince Of Cats. And though Craig and Evans may soon walk away from their most iconic roles—James Bond and Captain America, respectively—Stanfield will continue to be a part of Atlanta, which has already been renewed for a third season.